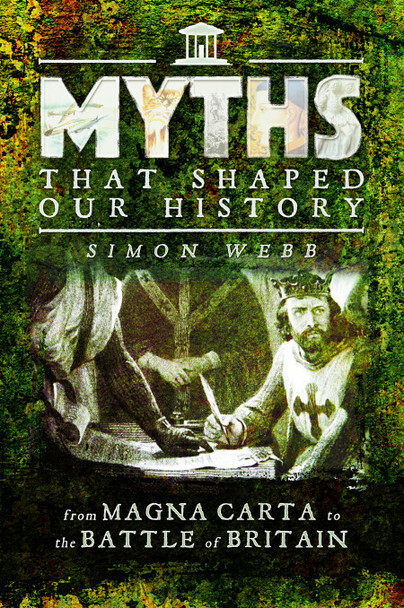 You'll be £5.20 closer to your next £10.00 credit when you purchase Myths That Shaped Our History. What's this? All nations and peoples have a body of legendary tales and semi-historical episodes which explain who they are and help to define their place in the world. The British are no exception and in this book Simon Webb explores some of the most well-known episodes from British history; stories which tell the British about themselves and the country in which they live. Examining these events in detail reveals something rather surprising. In every case, the historical facts are greatly at variance with what most British people think that they know about such things as the Battle of Waterloo, Magna Carta, the suffragettes and so on. Indeed, in many cases the reality is precisely the opposite of what is commonly believed. For example, the Battle of Waterloo was not a victory for the British army, Magna Carta did not set out any rights for ordinary people and the suffragettes delayed, rather than hastened, the granting of votes for women. This book shows that much of what the British believe about their history has been either grossly distorted or is just plain wrong; revealing some of the misconceptions which are held about famous incidents from the nation’s past. In each case, the truth is far richer and infinitely more interesting than the version learned by schoolchildren. These myths, for that is what they essentially are, reveal as much about the way that the British people like to see themselves now as they do about what happened in the past. Webb’s writing has an engaging sense of style, and requires no second reading of a phrase to understand his meaning. The text flows easily, and the ten myths which he picks apart are each as interesting as the previous one. It is an entirely absorbing subject and a delight to read. Read it for: An interesting debunking of historical 'myths' which could provoke much discussion. On Page x of this volume’s Introduction, the author makes the following statement: ‘In this book we shall be examining ten myths which have helped to shape the way in which the British see themselves’ It is an accurate summary of what is to follow. I found Myths That Shaped Our History to be a wonderfully readable book, exceptionally well-researched, and absolutely delightful to read, even if it did make me re-examine what I thought I knew about British history.